Maybe you’re a pre–liberal arts student in University College. Or maybe you’re in another IUPUI school and you want to switch to the School of Liberal Arts or enhance your education with one of our majors, minors, or certificates. Either way, we’re happy to show you how to enter our school—and we look forward to welcoming you. Questions? Call 317-274-1103 or write to teaminfo@iupui.edu. Our programs teach you communication, analysis, problem solving, an understanding of others, and more skills you’ll use anywhere you go and whatever you do. If you’re interested in American Sign Language or an individualized major . . .
You need to learn about their special admission processes. Check out the American Sign Language process or the Individualized Major Program process. It’s easy to change your academic program within the School of Liberal Arts. Most students start in University College, take classes in their intended School of Liberal Arts major, and certify into the school after one semester. Our programs complement any major, helping you excel in your chosen field. Use our simple form to add, change, or drop a School of Liberal Arts program. To leave your current school and enter the School of Liberal Arts, you need to meet the same requirements that students in University College do. As a freshman in the School of Engineering and Technology at IUPUI, Brian Knip learned about the school’s dual degree program with the School of Liberal Arts. The program enabled him to earn a second degree in German—which came in handy when he interned at Bosch Engineering Group in Germany. During his software engineering internship, he got experience with vehicle calibrations and the code and logic functions involved in operating vehicles. 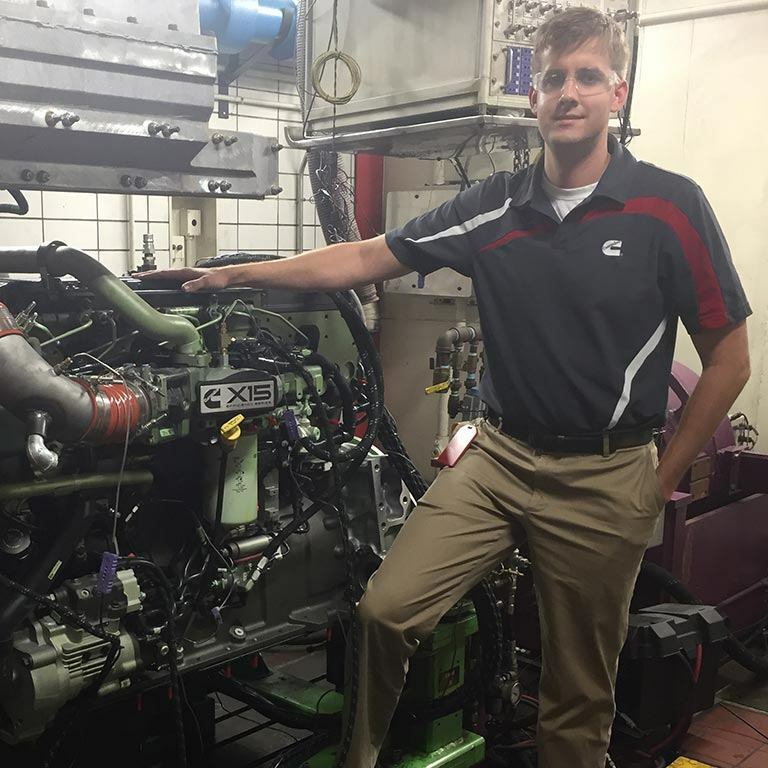 Now he’s a thermal and fluid science engineer at Cummins, where he performs engine emissions testing and analyzes the results. And he’s still using his liberal arts training, which has helped him communicate with German colleagues.